Panasonic Business has been shortlisted for four categories at AV Awards 2018, including projector of the year (8K+ and <8k lumens), entertainment project of the year and leisure and hospitality project of the year. The flagship PT-RZ21K is nominated for Projector of the Year above 8,000 lumens. The world’s smallest and lightest 20,000 lumens laser projector features a dust resistant cooling system for 20,000 hours maintenance free operation. Designed for use in rental, staging and any permanent fixed large venue, the projector delivers ultra-high brightness while having the smallest footprint of any 20,000 lumens model on the market. In addition, the PT-MZ670 has been nominated for the <8K lumens projector of the year. MZ670 combines Solid Shine laser with 3LCD technology to produce bright, high contrast images in a compact and lightweight chassis. Low noise operation and useful wireless and collaboration features make it the ideal solution for lecture theatres and meeting rooms. The immersive 270° video projection experience at Guidizio Universale was nominated for the entertainment project of the year. The show, ‘Last Judgement. Michelangelo and the Secrets of the Sistine Chapel’ at Auditorium Conciliazione in Rome was created with 30 large venue Panasonic laser projectors. The art show combines live theatrical performance and the intangible magic of special effects through use of the latest AV technology to transport spectators into a virtual, immersive setting right in the middle of the Sistine Chapel, so they can enjoy an unprecedented, multi-sensory cultural experience. 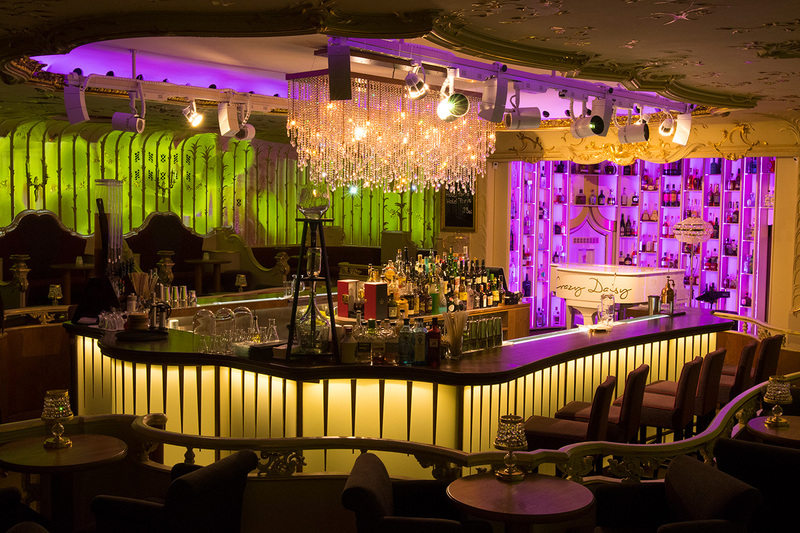 For leisure and hospitality project of the year, the Crazy Daisy bar in Prague used eight space player lighting projectors to create animations whilst being sufficiently quiet and unobtrusive so that guests could enjoy the projection without disruption. This year’s awards mark the 20th edition of the AV Awards. It will be celebrated at London’s Grosvenor House Hotel on Friday 29th September.